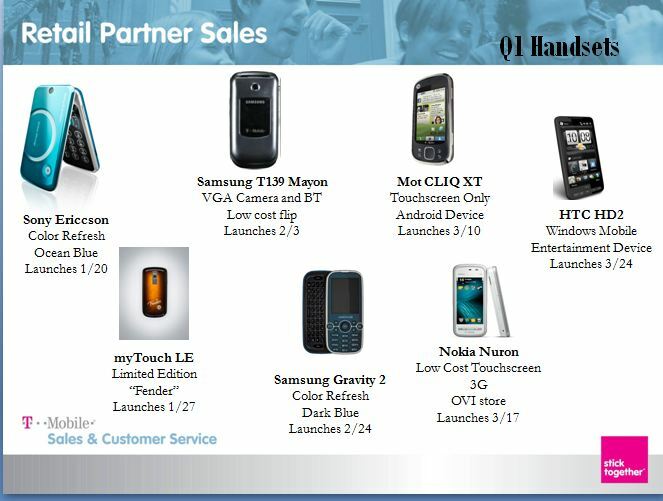 A leaked slide from T-Mobile USA has revealed March 24, 2010 as the launch date for the HTC HD2 in the U.S. No word on pricing yet. The launch is late enough that we’d imagine T-Mobile would provide a Windows Mobile 7 upgrade by the end of the year, but let’s see. Previous story Windows Mobile 7 Rumors: Zune-like UI, No Multi-tasking?